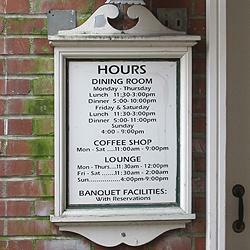 Memory of repasts past: about all that remains of The Terrace restaurant. 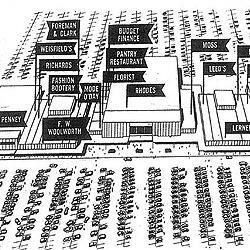 NOTE: This one's from the archives, but you can still see our exhibit featuring all the old news clipping and archived materials from the days when Lakewood's pioneer shopping centers opened. Stop by the museum, 6211 Mt. Tacoma Dr, anytime between noon and 4 pm, Weds-Sats. 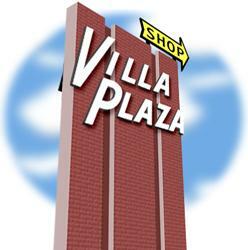 The April 16th Society program gave attendees the opportunity to share their stories about both the Lakewood Colonial Center and the Villa Plaza, established 1937 and 1957, respectively. Monthly programs are held in the Parish Hall at St. Mary's Episcopal Church, 10630 Gravelly Lake Drive SW (next to the Lakewood Library), begin at 7 pm and are FREE to both members and non-members.